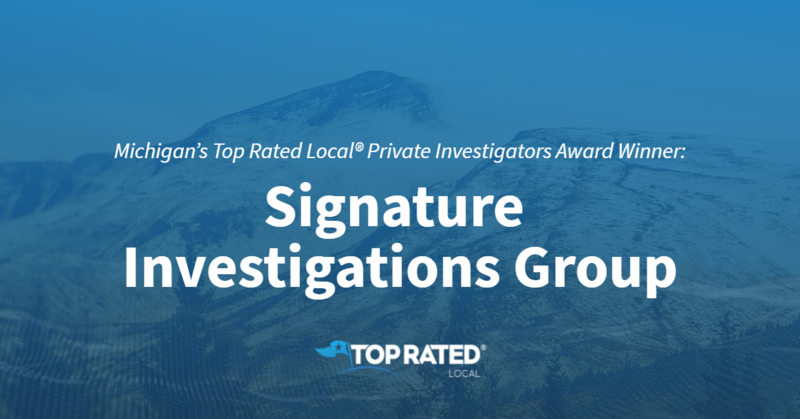 Top Rated Local® is pleased to announce that Signature Investigations Group is a 2019 award winner for private investigators in Michigan! When you need a private investigator you can rely on in Grand Rapids, you need Signature Investigations Group. Signature Investigations Group has received dozens of reviews on four verified sites with an average rating of 5.00 stars, earning them a phenomenal Rating Score™ of 99.00 and a 2019 Top Rated Local award for ranking among the top 10 private investigators in all of Michigan! 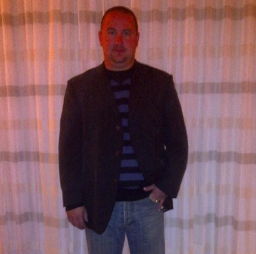 “We recently used Mike at Signature Investigations Group to run a background check on a potential childcare provider. I must say that I am very thankful for Mike and the prompt services he provided. Without this service, we would have walked into this interview blind. We are very pleased. Thank you so much for your immediate responses and willingness to get this done in such a timely manner. Needless to say, we will not be using this provider, and can’t thank Mike enough for helping us make this decision.” – Jayme L.
Mike Cook, CEO and Investigator at Signature Investigations Group, generously gave us a few minutes of his time to tell us about this award-winning business and its impressive online reputation. According to Mike, Signature Investigations Group has a decent reputation in place that’s been long established, and Mike also told us that they rarely ask their clients to write reviews. Outside of building a powerful online reputation, Signature Investigations Group has gotten their name out there through networking, by working closely with law firms and corporate partners and by working with a pipeline of people who want to work with them. Congratulations to the team at Signature Investigations Group for being a 2019 Top Rated Local award winner, and thank you so much, Mike, for taking the time to speak with us! We highly recommend Signature Investigations Group in Grand Rapids. Visit their website today. 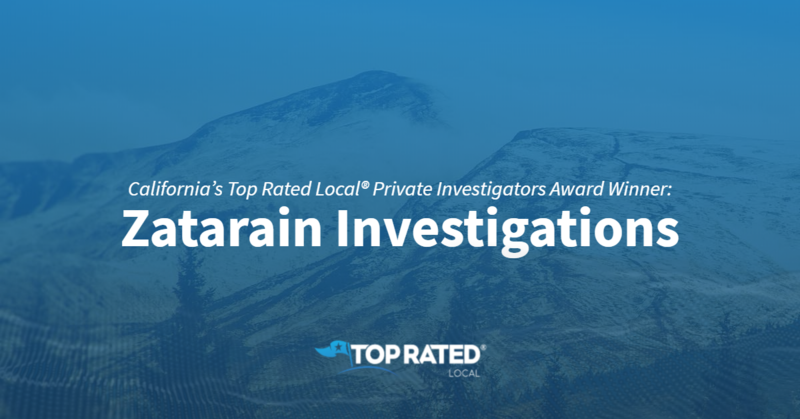 Top Rated Local® is pleased to announce that Zatarain Investigations is a 2018 award winner for private investigators in California! From process serving and asset checks to criminal investigations and undercover video surveillance, Zatarain Investigations has what it takes to meet your investigative needs. Zatarain Investigations has received dozens of reviews from three verified sites with an average rating of 4.65, earning them a wonderful Rating Score™ 83.27 and a 2018 Top Rated Local award for ranking among the top 10 private investigators in all of California! Armando Zatarain, the owner of Zatarain Investigations, used to be a cop, and he has a deep sense of fairness and justice. Armando is also dedicated to being there when he is needed, and he always makes himself available to the attorneys he works with. Building Success by Treating People Fairly. 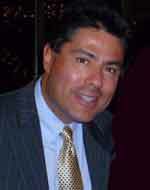 Armando credits Zatarain Investigations’ strong online reputation to his commitment to always treating people fairly. Outside of building a powerful online reputation, Armando has grown his business mostly through word of mouth. 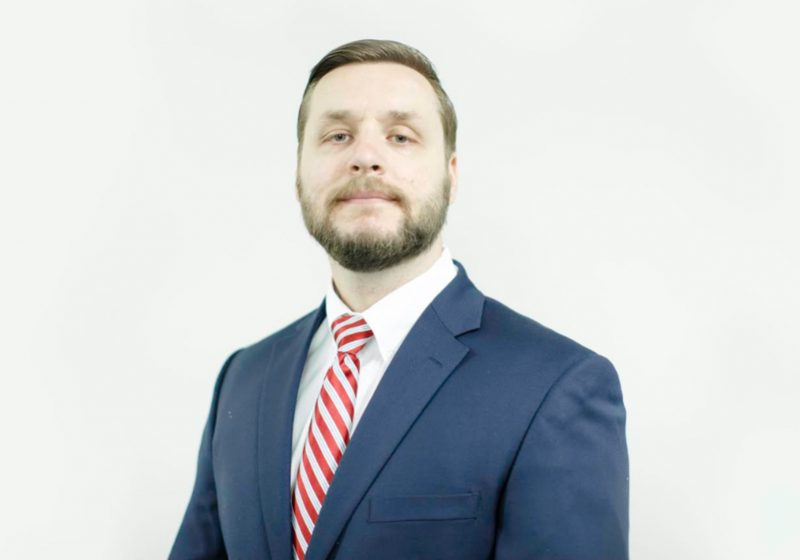 He works with a large network of 150 attorneys who trust and value his opinion, and want him to work with their clients. Congratulations to Zatarain Investigations for being a 2018 Top Rated Local award winner, and thank you so much, Armando, for taking the time to speak with us! When you need investigative services in California, we highly recommend working with Zatarain Investigations. Visit their website today! 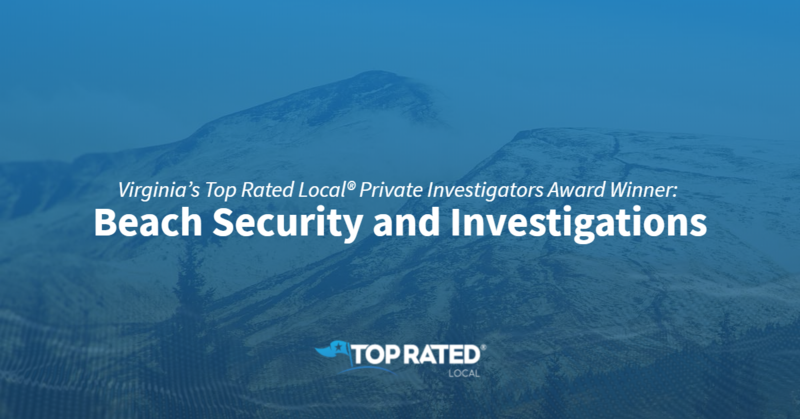 Top Rated Local® is pleased to announce that Beauty Security and Investigations is a 2019 award winner for private investigators in Virginia! From GPS tracking to property searches, Beach Security and Investigation is your premier source for private investigation services in Virginia Beach. Beach Security and Investigations has received dozens of reviews from three verified sites with an average rating of 5.00 stars, earning them a stupendous Rating Score™ of 97.00 and a 2019 Top Rated Local award for being ranked among the top 10 private investigators in all of Virginia! “Jerry Cale gave me peace of mind during a very frightening time in my life. My elderly father had his identity stolen by a caregiver. I had no idea which way to turn. I needed help navigating the complexities of law enforcement and our complicated judicial system. He was very knowledgeable about both the criminal and civil aspects of my case. If you are the victim of an economic crime, Jerry Cale would be the best Investigator you could have in your corner.” – M.M. There are many things that set Beach Security and Investigations apart, but according to the owner, Jerry Cale, it’s their experience, the effort they put into every case and the quality of work they provide that truly make them unique. Beach Security and Investigations offers uniform security work, private investigations and training school, and they take on a wide range of cases, including domestic violence, insurance, disability insurance, assaults, shootings, elderly abuse, drug cases and work criminal cases. Jerry credits Beach Security and Investigations’ strong online reputation to the contacts he developed in his 27 years in the public sector with the City of Virginia Beach. Outside of building a powerful online reputation, Jerry has grown Beach Security and Investigations by advertising through flyers and radio ads, and they anticipate using a billboard. Additionally, word of mouth has been important for growth at Beach Security and Investigations, and they are active on Facebook and Twitter as well. Jerry’s advice to other business owners looking to grow their business and build their online reputation is to work hard, ask clients to post reviews and network by getting involved with the Better Business Bureau and local groups. Congratulations to the team at Beach Security and Investigations for being a 2019 Top Rated Local award winner, and thank you so much, Jerry, for taking the time to speak with us! If you’re in need of a capable and experienced private investigator in Virginia Beach, we highly recommend working with Jerry and his team at Beach Security and Investigations. Visit their website today! 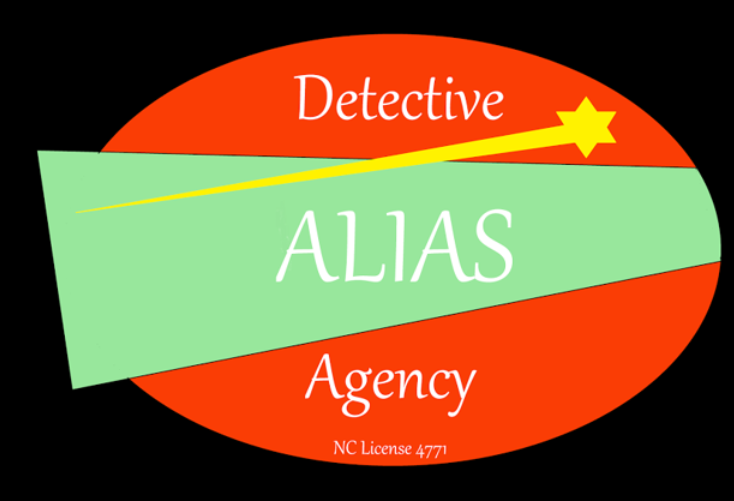 Top Rated Local® is pleased to announce that Alpha Group Investigations is the number one private investigator in Virginia in 2018! 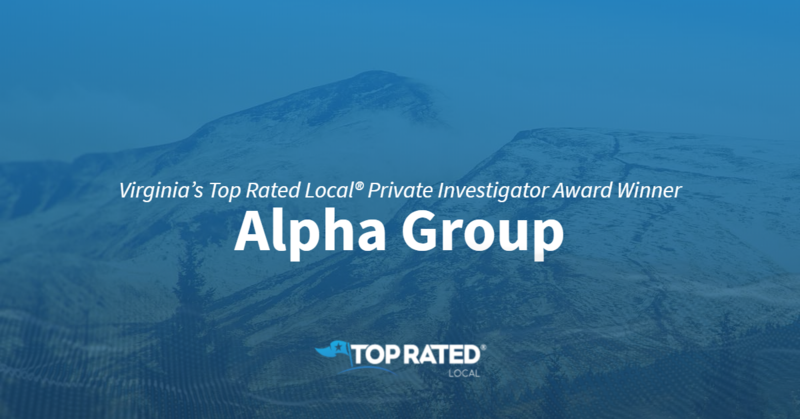 Thanks to a 97.41 Rating Score™, a 4.94 star rating average on verified sites, and dozens of positive reviews, Alpha Group Investigations is a 2019 Top Rated Local award winner! We got a chance to speak with Alpha Group owner, Jason Tassinari, about his business’ awesome online reputation. The team at Alpha Group Investigations believes in providing exemplary performance, results, and consistency. They’ve grown from a small private investigation firm to a full security solution, now with a security services division with a training academy for security personnel. Offering armed and unarmed officers, patrol services, and other security tools to both businesses and individuals, the Alpha Group team keeps professionalism, purpose, and pride at the center of everything they do. Thank you for speaking with us, Jason! Congratulations to the team at Alpha Group Investigations for being a 2019 Top Rated Local award winner! Top Rated Local® is pleased to announce that Ringo’s Detective Service is Texas’ number one private investigation service for 2018! 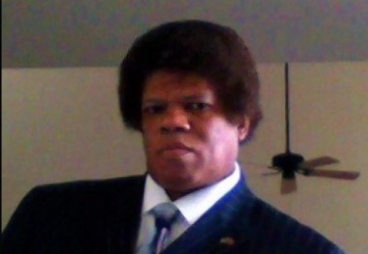 “I am a Washington State attorney and needed to serve a person in College Station, Texas. I retained Ken Ringo to do the service. He was great with the communication and always responded quickly. He served the person right after he received the documents, and his price was very reasonable.” -Matthew C.
“Very professional and courteous service. They contacted me, needing to handle some paperwork from a court case I was a witness in. They contacted me and worked with me until my schedule was available to handle all the necessary paperwork. He even took the time to explain to me a little bit about the court case, and that set my mind at ease greatly. Would highly recommend their services to anyone else needing these types of things done for them.” -Gary M.
“Ringo’s Detective Service is a professional investigative service that hands down is amazing! Ringo is fast, accurate and easy to work with. Overall, I would always recommend Ringo Detective Service to everyone looking for such needs. Ringo’s passion and drive to do well is always a step ahead of any expectations. Thanks, Ringo, for all that you do!” -Krystal H.
Whether they know him as “Ken” or “Ringo”, Ken Ringo, the owner of Ringo’s Detective Service, has certainly left a positive impression on his clients. He took some time to chat with us. Thank you for speaking with us, Ken! 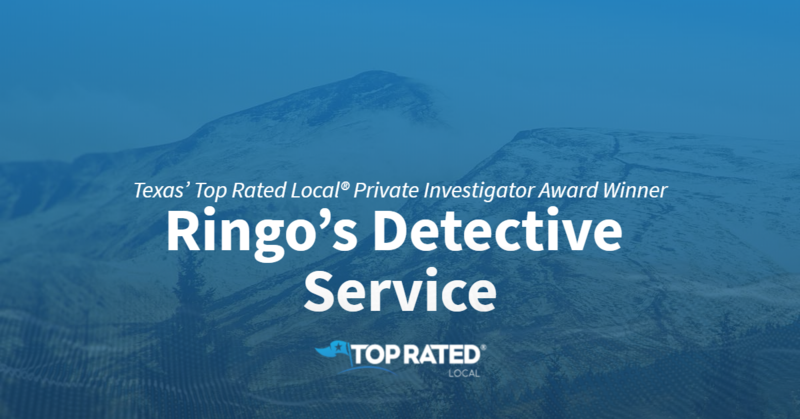 Congratulations to the team at Ringo’s Detective Service for being a 2018 Top Rated Local award winner! For expert investigatory services in Texas, we highly recommend Ringo’s Detective service. 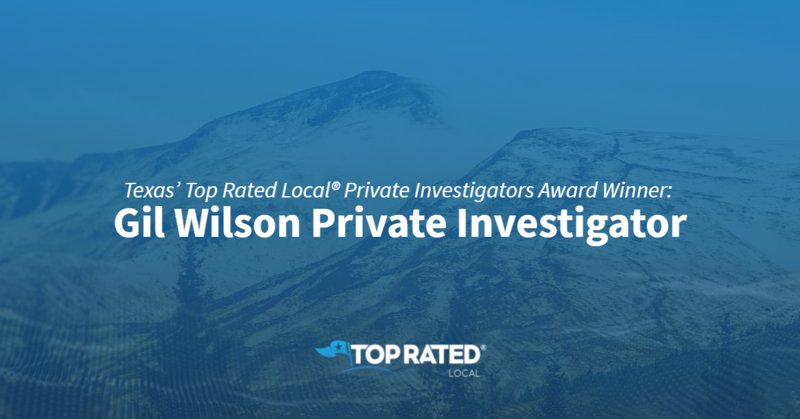 Top Rated Local® is pleased to announce that Gil Wilson Private Investigator is a 2018 award winner for private investigators in Texas! If you’re looking for a reliable private investigator in Dallas who can help you with services ranging from divorce-asst investigations to opposition research, look no further than Gil Wilson Private Investigator. Gil Wilson Private Investigator has earned dozens of online reviews with an average rating of 5.00 stars, a spectacular Rating Score™ of 92.00 and a 2018 Top Rated Local award for being ranked among the top 10 private investigators in all of Texas! Gil’s longevity and skills for the business are just some of the many things that set him apart from other private investigators in Texas. Gil was a marine and then a police officer, so he’s learned a lot of self-discipline, and always gets the job done on time and in a professional manner. When Gil works on a case, he never judges anyone, nor does he get emotionally involved. He simply looks at the problem and the facts to get the job done. Gil credits his company’s strong online reputation to his professionalism. No matter how big or small the job may be, Gil is always committed to getting it done on time and to the best of his ability. 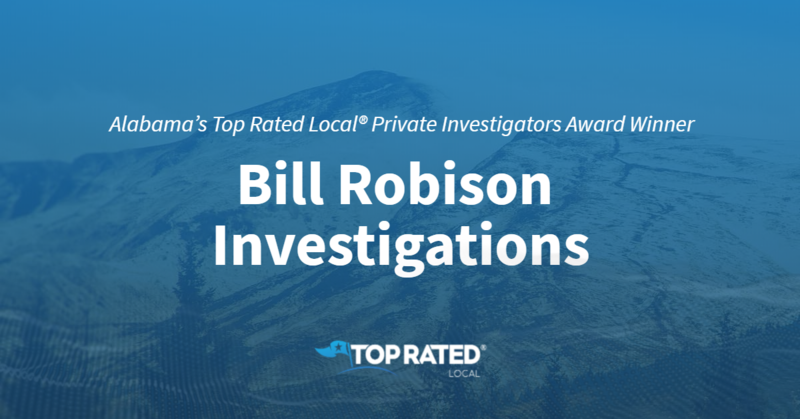 Congratulations to Gil Wilson Private Investigator for being a 2018 Top Rated Local award winner, and thank you so much for taking the time to speak with us! If you’re in need of an experienced private investigator, we highly recommend Gil Wilson Private Investigator. Visit him online today! Top Rated Local® is pleased to announce that Panoramic Investigations is a 2018 award winner! “Awesome company when it comes to investigating and deep diving into information you might need. I contacted Brian seeking factual data on a sensitive matter. Within an hour Brian was able to provide each detail I was seeking! Bias for action, customer-centered approach and time awareness by Brian made it possible to meet my own deadline. Will have to give this company the highest recommendation. Definitely will utilize their services in the future if ever needed.” -Emily K.
“We’ve been using Panoramic Investigation’s services for some time now and we’ve never had a problem, ever. Very discreet, professional and most of all trustworthy, something that’s difficult to find nowadays. If not for their work, our company could easily lose thousands of dollars per month, so it’s safe to say that we consider them a very valuable business partner.” -Josephine M.
“I used Panoramic Investigations in February and I was pleasantly surprised. Very high-quality service, and I was given an extremely fair price, relative to competitors I explored. If you’re in Houston, give these guys a look.” -Henry N.
These are just a few of the ecstatic reviews Panoramic has received, giving them an excellent 4.73 average star rating, a 93.27 Rating Score™, and a spot among the top 10 private investigators in Texas. In combination, all of these things have built Panoramic Investigations an absolutely phenomenal online reputation! We had a chance to speak with Brian Davidson, owner of Panoramic Investigations, about his business’ success both online and off. His advice to other businesses? It’s simple but effective. Thanks for speaking with us, Brian! 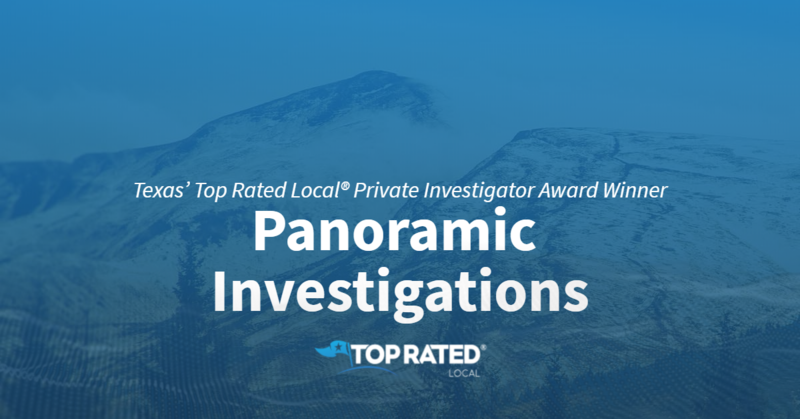 Congratulations to the team at Panoramic Investigations for being a 2018 Top Rated Local award winner! For expert and discreet private investigator services in Texas, we highly recommend Panoramic Investigations.